Antique Art Nouveau era pearl and diamond ring. Product code: 1533 Categories: Sold Items, Sold Rings. Here is a ring that shows what the Art Nouveau era was all about – wonderful flowing organic lines, and using nature as inspiration. Made in 18ct yellow gold, this wonderful ring dates from the mid-1890’s, and was very possibly made in France, due to its style and design. Set with a central natural pearl, there are 8 rose cut diamonds to give this ring a bit more sparkle, but it is also the design of this ring that is truly delightful to see. At each end is a rose form that looks so delightful, and this ring looks sensational on the finger. 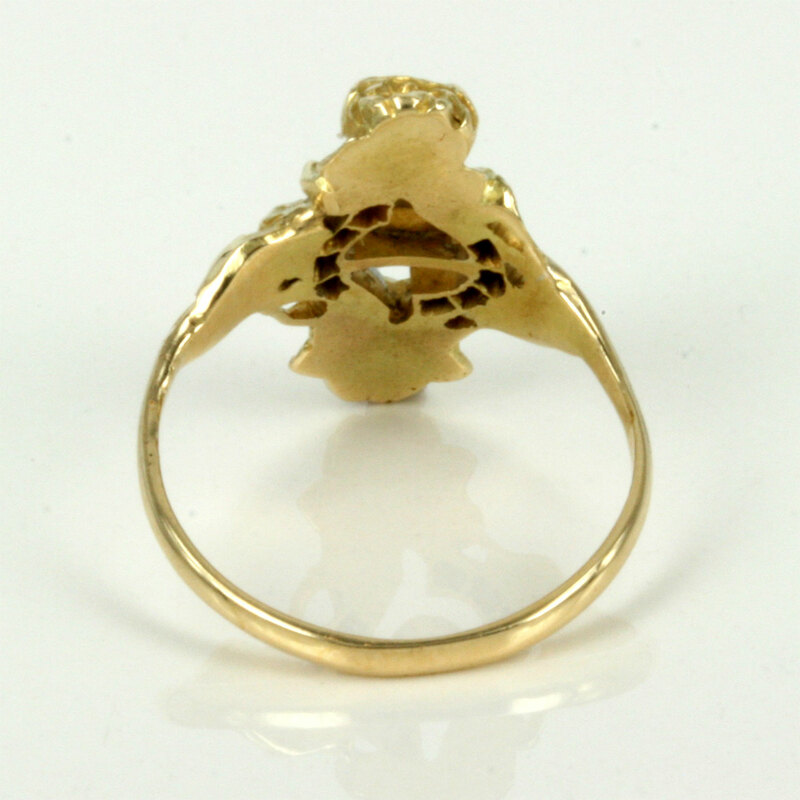 A wonderful Art Nouveau ring for any occasion.